platform developed by Google. it is also one of the oldest blogging platforms. Blogger is famous for its built in theme editor with it`s simple and powerful blogging platform, which is really easy to use. Blogger offer you by default 16 blogger templates. But if you are a serious blogger then your blog seriously need to work on templates. There are so many professional themes available online for different requirements. You can easily customize these templates. Today we will discuss about free responsive blogger templates. If you are on a limited budget, free blogger templates are a good solution. But it is tough and confusing to decide which free responsive blogger template you should use. Below we are going to list 201+ professional free responsive blogger templates for 2019. These are very famous high quality blogger themes from various categories. You can decide which is best free blogger theme you wanted. 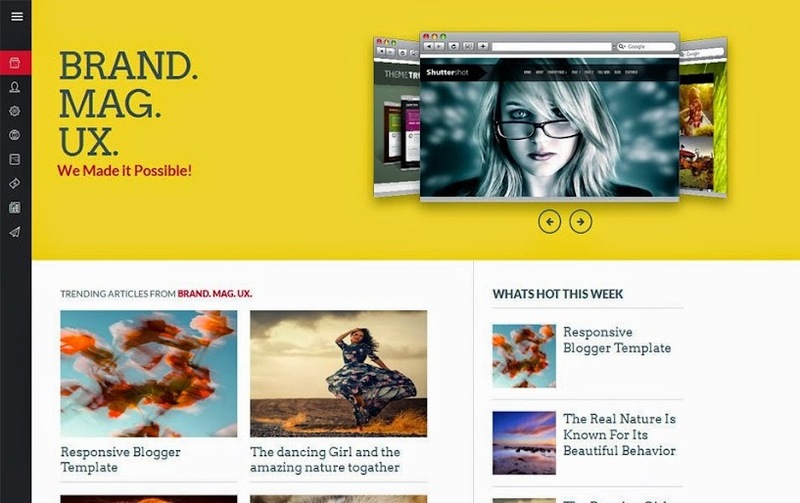 Bluster is a very advanced retina-ready magazine and news template for Blogger site. This help you to build news site instantly. Boxed is also a responsive blogger template with clean & elegant designed. This is good for bloggers, writers and designers. Sora mag template is one of the best blogger theme for magazine and news blogs and sites. It attract more visitors on your site. It is easy to use, fast and have clean SEO setup. It also give awesome magazine style look to mobile screens. Sora Red is also a beautiful blogger template. It has an awesome design and performs quite well. It is a responsive template which is suitable to all screen sizes. Engaged is also a blogger template with great functionality and beautiful design. It offers clean interface, bold style blog and magazine blogger theme. It is best suitable for magazine, news journal, personal blog, and writers. As it name says it engage your visitors with your site. Sora Seven is a responsive and powerful blogger template magazine websites and blogs. It has elegant design and beautiful layout. It Seven will help you represents your content easily and attract visitors and make them stick to your website. Target is a also a responsive blogger template. Which offers a professional style and carefully crafted style for newspaper websites.You can add various categories to header in different colors.It make navigation interesting. Smart News is also an awesome responsive template from soratemaplets. It is an Ultra-Premium magazine template for blogger. It is also an elite template. Someo is also a responsive blogger template. 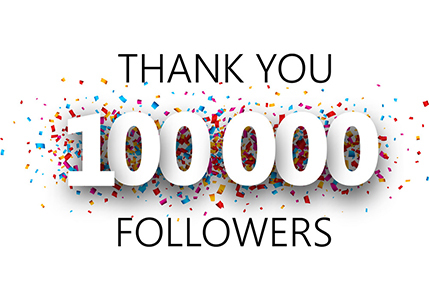 It is good for magazines sites and blogs. You can also show top stories of your site on homepage. Sora Press is also an impressive and unique responsive blogger template. It offers flat and metro elements. This is a perfect news template. It help you to add articles, videos and slideshow. It is an elite template. Simpro is a professional and completely responsive Blogger Template. It offer you so many features with simple design. It is highly seo optimized template for blogger. Modern Mag is also a good responsive blogger template with new solution for personal blogs, news or magazine. It is an awesome template for all niche. It is one of the best choice for multimedia, editorial, newspapers and other blogs. Optimag is also a responsive, clean and SEO optimized magazine blogger template for photo gallery, online magazines, blogs, news and other articles. Ares is a responsive and well seo optimized blogger template. It is a highly user friendly blogger template. It is a good choice for Reviews, News or Magazine sites. Newsbt is an awesome responsive professional blogger template for news blogs. It is a best choice for professional blogs, magazine blogs and news blogs. It offers so many features such as news ticker widget, recent post widget and magazine widget. It is one of the best Clean, Advance, Elegant, professional looking and Seo optimized blogger template. This template is good for all types of blogs. It is really easy to cutomize template. Manshet is a responsive blogger template. It is a user friendly and Search Engine Optimized template. Its perfect for Reviews, News, or Magazine websites. It offer you so many color options. 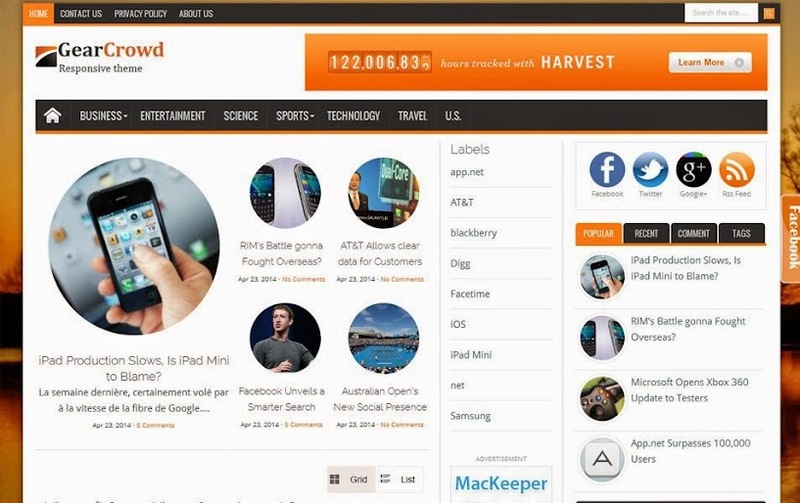 Harderly is a magazine blogger theme with super clean and responsive design. It also offers many awesome features. Techclue Is an awesome Multi layout Style responsive blogger template. It is good for magazine sites and also for education sites. Techclue has an awesome Design. Aeromeo is also a Magazine Blogger Template which is nice and clean. It is a good news for news and articles. It is a responsive and 3 columns template with excellent features like News Ticker, Owl Carousel, Live Tiles Metro, Widgets post Content included. WeblogMag is an excellent responsive professional blogger template for simple news sites, business blogs and magazines. It offer so many features for excellent user experience. Sora Craft is a modern and new blogging template for blogger. It is perfect theme for writers, beauty, fashion, and collectors with sweet and simple design. t has a two columns layout. DualShock is a free responsive Blogger template which is good for blog and magazine. It has features like tabbed widget email subscribe box, related posts, share buttons, 3 columns footer, left sidebar, custom post meta etc. Bright Mag is a beautiful clean modern design news & magazine Premium Responsive blogger Template. It’s a magazine layout design for all sorts of publishers. Great for review, news and blog sites,Features full width Premium slider and 4 column footer area. Magzima is a stylish responsive template with modern magazine design for Blogger template. It has well structured and clean design. It is a good choice for photos blog, travel blog, news blog etc. 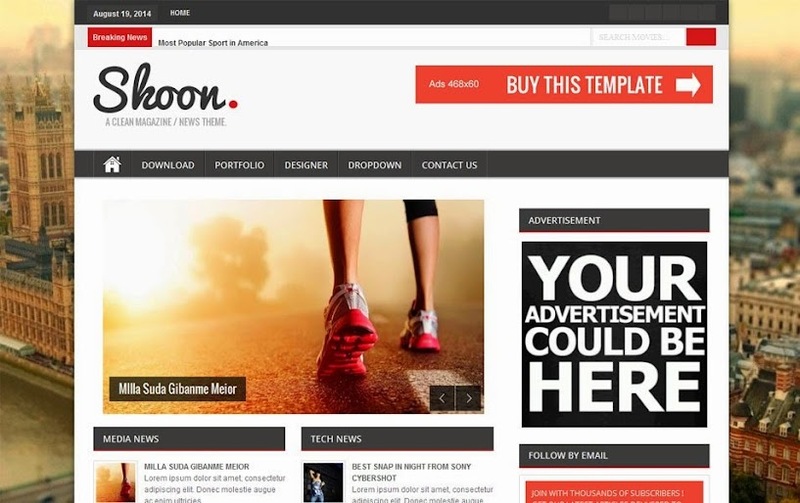 Shoon is a Highly User Friendly template with responsive design for Blogger. It is a Magazine Style Premium Blogger theme. It has features like auto flexslider. It’s a unique magazine Blogger template and suitable for all personal blogs, magazine, news etc. Pertamag is is a good choice for Magazine sites and Personal Blogs with modern and responsive design. Simplex Reporter template is a responsive Blogger template. It is mostly used for news-portal and magazine blogs. Gear Crowd is a free stylish, professional and responsive blogger template.This is designed from WordPress theme and has the best features. It has awesome features like email subscription widget and social sharing widgets below all posts. Planer is also a good responsive blogger Template for magazine blogs, specially for niche type blogs, multimedia, news, blogging, technology. It is a very fast loading blogger template which is coded with CSS3 and HTML5.It is compatible with almost all browsers. Vivo is an awesome responsive, 3 Columns Blogger Template. Vivo Blogger Template has Google Fonts, Tabbed Widget, 3 Columns Footer, Breadcrumb, Related Posts, 468×60 Header Banner, 2 Navigation Menus, a jQuery Featured Content Slider etc. Breeze is a professional Blogger template with responsive design. It is a good choice for corporate blog, authority blog, personal blog, marketing blog, niche blog etc. Brand Mag UX is a fully responsive Blogger Template. It is coded with HTML and CSS3. It has unique design. Sora Blog Green is an awesome responsive personal blogging template with clean two column design. It is good for writers, fashion, beauty, collectors. Solar has Dynamic Design and it is an awesome Magazine Style Blogger Template. It is good for News sites and Magazine sites. It is a modern combination of technology and design. Dynamic Mag is a premium responsive template for blogger. TP Blue Mag is an awesome responsive blogger template. 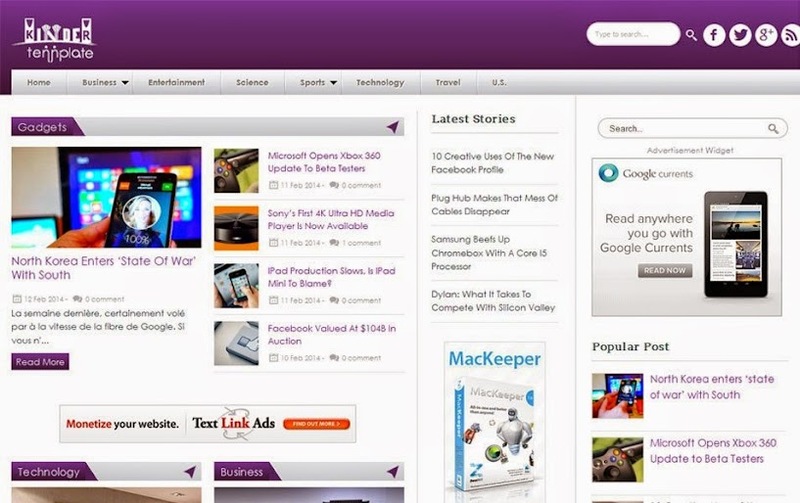 It is built with high end features for News or Magazine blogs. Indonesia is a fully featured responsive magazine blogger template. It is a premium quality template. StickyGag is a highly responsive template for blogger. It is good for magazine blogs. JustBlue is also a responsive Blogger template. It has 2 columns layout. JustBlue also has 2 navigation menus, 728×90 Header Banner, right sidebar, auto post summaries, share buttons etc. 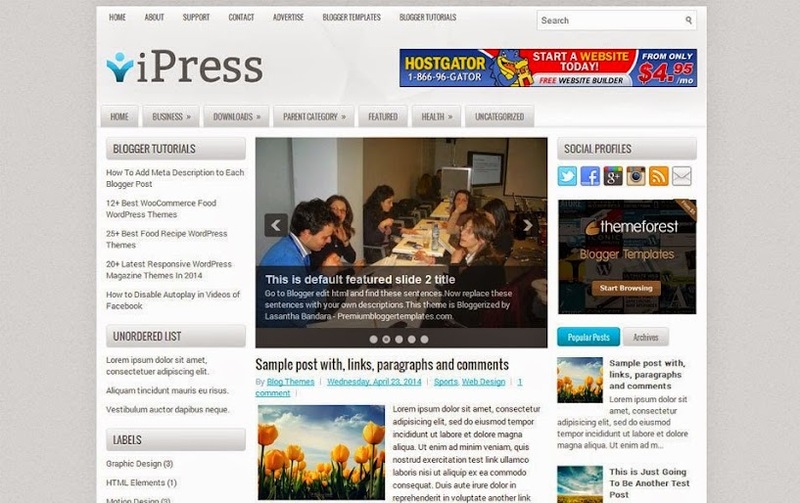 iPress is also a responsive blogger template with 3 Columns Blogger. It has a Dropdown Menus, 468×60 Header Banner, Related Posts, Breadcrumb, Tabbed Widget, 4 Columns Footer, jQuery Slider etc. Kinder is a free responsive blogger template. It is a magazine style template with 3 column layout. It is well seo optimized template. Mashthirteen is a Magazine Blogger template with responsive design. You can easily build any website easily with Mashthirteen. It has a traditional layout. It is a completely responsive design. iBlogger Responsive Magazine Blogger Template has Header Banner, Navigation Menus, Social and Buttons, Right Sidebar, 2 Columns, Featured Content Slider. We are updating more in this list soon, so keep visiting and don`t forget to subscribe eAskme feed to get updates.